Do you pee before a long road trip or at a pit stop? Getting into or out of a carseat, high chair or your arms is the perfect time to offer baby the toilet. 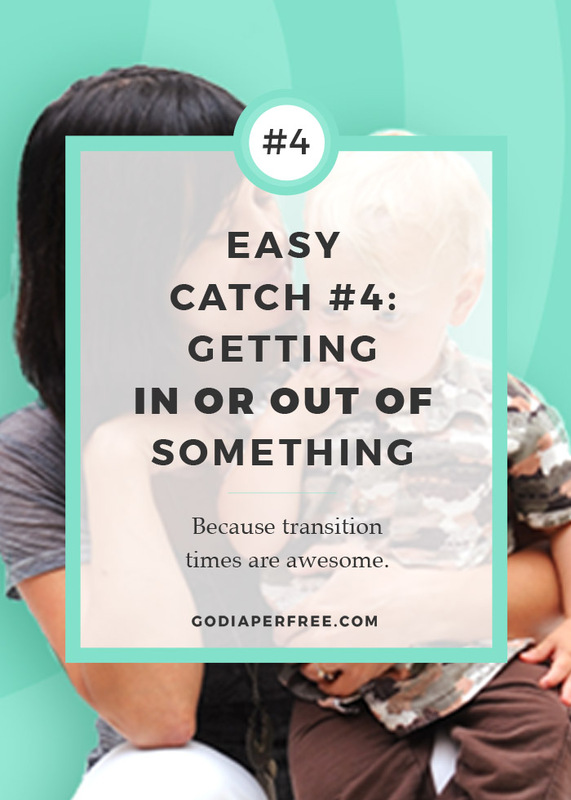 Let's face it...transition times are awesome! an embarrassing miss I had in the grocery store. EC While Out and About: Eager (or afraid) to try EC on outings or travel? This'll get you going. Potty Time Master: a MiniCourse that helps you get extremely good at detecting the 4 ways to know baby has to pee. 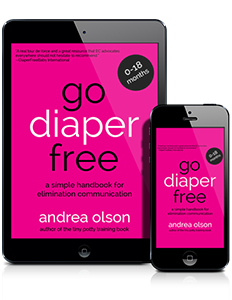 Go Diaper Free:my popular EC book that simplifies EC, beginning to end.